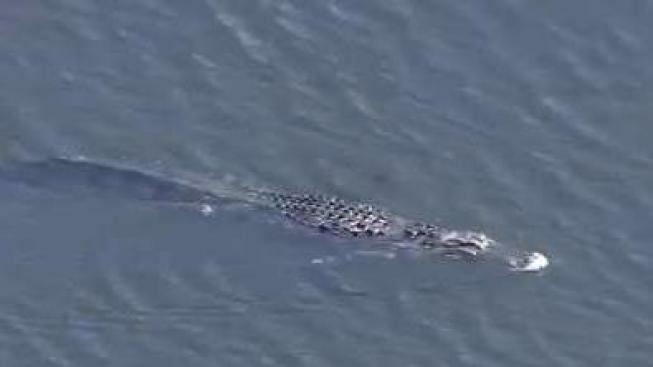 "There's a big alligator hanging out right there," the caller said, "She's nowhere to be found." The 911 calls from a fatal gator attack in Davie have been released. NBC 6 Reporter Laura Rodriguez has the story. A witness described seeing a "huge alligator" in a Davie park shortly after a woman was fatally attacked near a lake, according to a 911 call released Thursday. The call was made moments after 47-year-old Shizuka Matsuki was killed by the 12-foot gator at Silver Lakes Rotary Nature Park last Friday. "I think an alligator got this lady," the caller tells the operator in the call. "Her two dogs came running back out to the parking lot and I walked all the way to the back of the park and one dog was still hanging out in the water and I seen a huge alligator." The caller said the woman simply disappeared. "There's a big alligator hanging out right there," he said. "She's nowhere to be found." Officers responded and found Matsuki's body in the lake hours after she disappeared. The alligator was captured and euthanized.